Jean Sills was born in Tweed, Ontario on 3 June 1920. She married John H. Lennox and had two daughters. 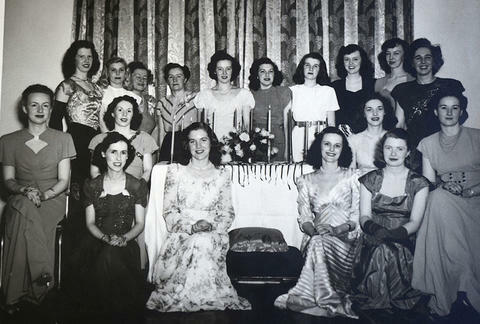 Jean was a founding member of a Beta Sigma Phi chapter in Belleville, Ontario. She died in Belleville on 19 October 2016. Donated by Carole Lennox (daughter of Jean) in March 2019.